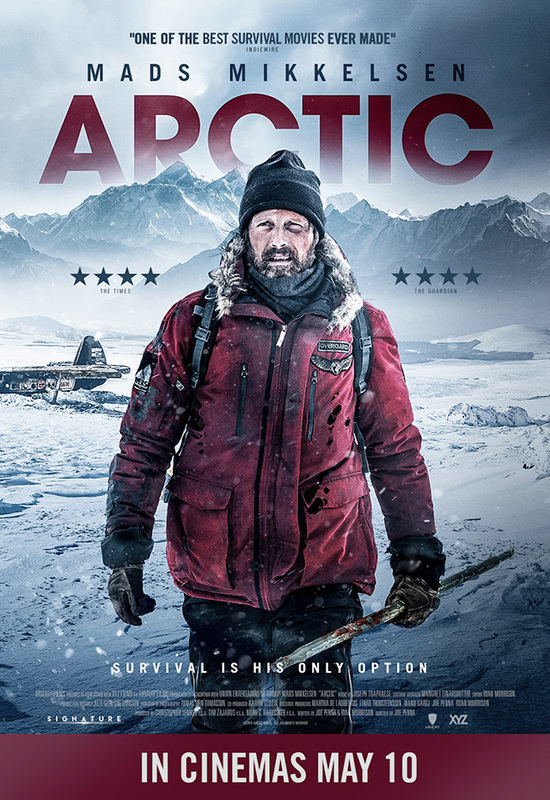 Mads Mikkelsen’s (Hannibal, Doctor Strange) Arctic will be released in cinemas and on digital on 10th May 2019 by Signature Entertainment. Mikkelsen gives a tour de force performance as a pilot whose plane has crashed in a remote corner of the Arctic. Stranded in the wilderness he uses his ingenuity to survive. When about to receive his long-awaited rescue, an explosive accident means his opportunity is lost and the dire situation further complicated. The tragic turn of events, involving another crash survivor, played by Maria Thelma Smaradottir, forces the pilot to make a perilous choice between the relative safety of his camp and a deadly trek into the unknown.